handles. The wide adjustable guide lever means the machine can be stored compact in a vehicle. in premium quality for single and triple disc floor sanders. for single and triple-disc floor sanders. Areas of application: Geared tool system in grit sizes K1 to K2, particularly for substrate preparation. Areas of application: The arrow-shaped segments with their sharp cutting edge and effective diamond cutting action are used for rough erosion, as well as for roughening coatings and grinding thin layer structures. 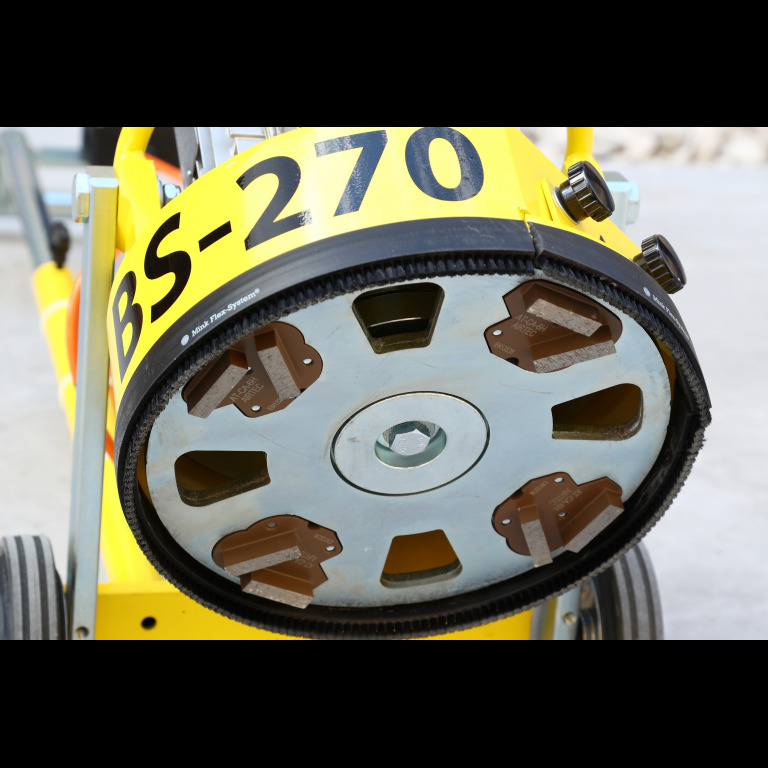 Areas of application: Even on thin and hard layer structures, such as unfilled levelling coatings or highly plastic-modified spattling compounds, these tools offer extremely fast erosion and leave a clean and flawless substrate. 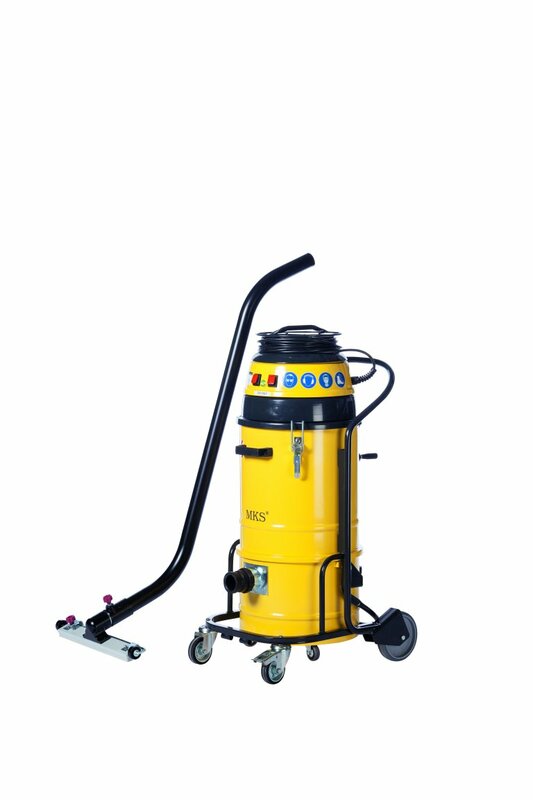 The power pack has two suction motors for optimum vacuum performance when vacuuming floor sanders and hand sanders and when cleaning areas with the floor nozzle. The DF (dust free) filter system ensures an extremely low-dust work environment. 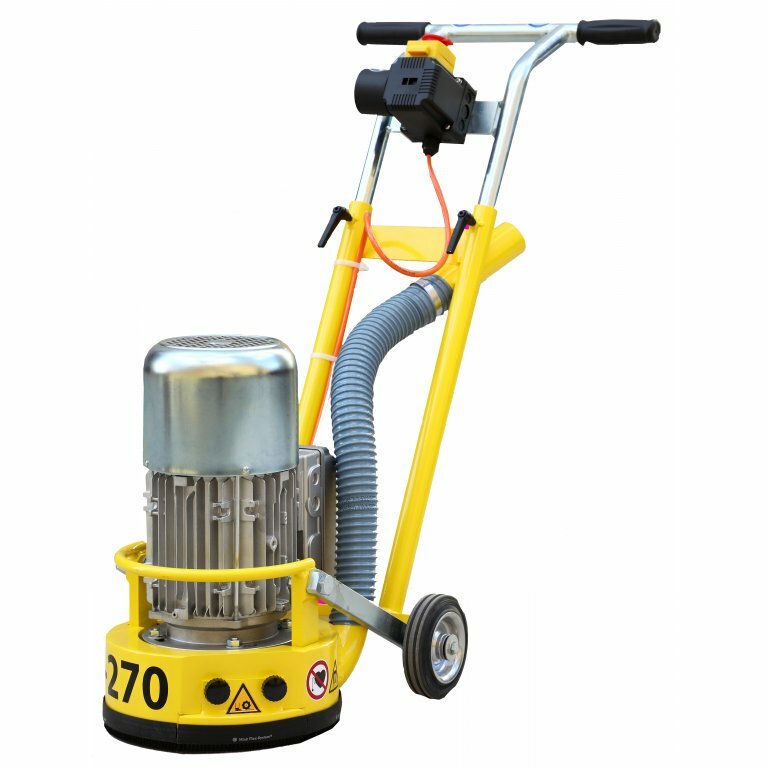 The filter performance is the best in class of the M-Jet 2-56 T and is CE-tested according to Standard H.
The hose connection and the aluminium pipe with floor nozzle are included in the delivery. 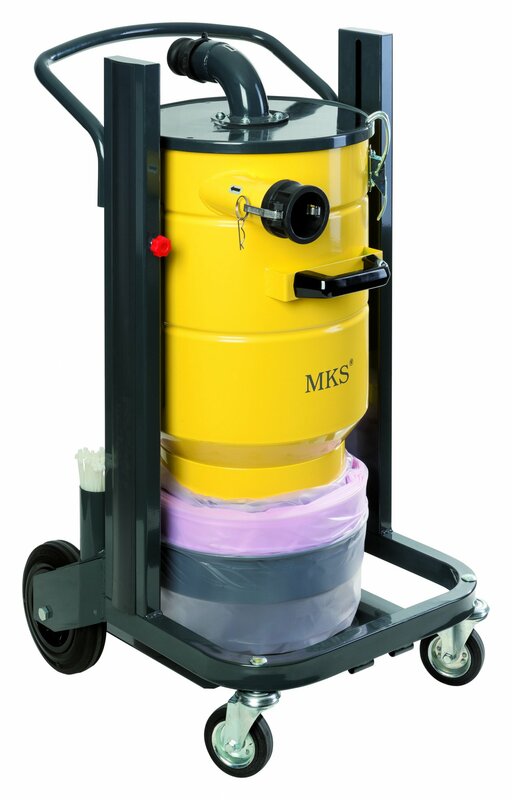 The MKS M-JET Pre-separator Compact is the optimum extension for the M-Jet 2-56 T. A large proportion of the extracted material is already deposited in the pre-separator and never even reaches the vacuum. This considerably reduces the process of emptying the vacuum and protects the filter system. The pre-selector compact is used with the Longopac endless system. Absorbed extracted material can be disposed of in easy-to-transport quantities. Low risk of tipping due to the low centre of gravity. The hose connection from the vacuum to the pre-selector and 4-pcs. Longopac replacement bag are included in the delivery.